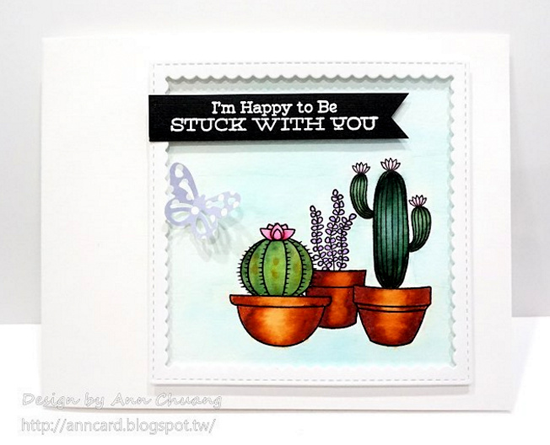 Three pretty potted plants from our Sweet Succulents stamp set star on Ann's clean and graphic card. The lovely frame using the Stitched Square Scallop Frames Die-namics caps of this delightful design. 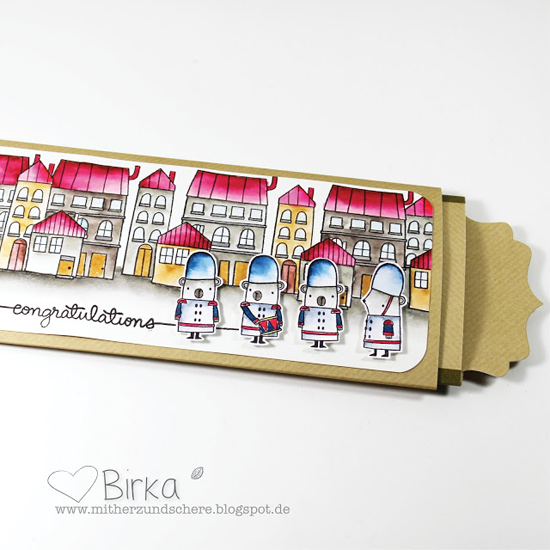 Creative Team member Amy Lee spotted Birka's inventive ticket packaging on her blog. Birka made a little box for some theater tickets and decorated it using our London Mouse stamp set and Die-namics. What a wonderful and thoughtful design! Lynn entered this bright and cheerful card in our Sketch 278 challenge. Her bold background was created using the Diagonal Bars stencil. 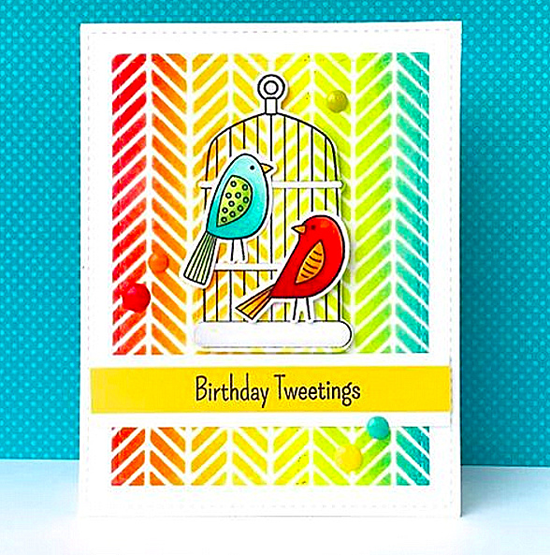 It's the perfect backdrop for the vibrant birds from the Tweet Friends stamp set. Looks like Roselee is loving the Flashy Florals Card Kit! Such a pretty card she created with it. If you missed out on the Flashy Florals kit, the stamps and Die-namics will be available in a future release, so stay tuned! Creative Team member Yoonsun Hur spotted Seungeun's design on Instagram following #mftstamps. To quote Yoonsun, "Seungeun Lee's card is so bright and cheerful!" The Because You stamp set and Diagonal Sentiment Strip Cover-Up Die-namics sure look great on Seungeun's card! Thanks for using MFT, ladies! You've left us inspired, and that's what it's all about! See you tomorrow for another great Sketch Challenge, and look for the next MFT Color Challenge on Thursday, June 9th! Thank you spottied my succulents card and congrats to other ladies! Your cards are so amazing! All of them are so pretty. And so inspiring! Thank you so much for Spotting my Tweet Friends card!